From the looks of it, The CW is working on becoming the broadcast network sci fi channel. They announced yesterday the pickup of three new genre shows for the 2013-14 season as well as the renewal of spy fi show Nikita. 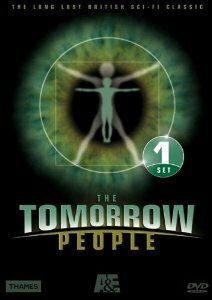 The most noteworthy of the pickups is the reboot of the British TV series The Tomorrow People from Arrow‘s Greg Berlanti and Vampire Diaries‘ Julie Plec. The other two are the post-apocalyptic series The 100, and the aliens-among-us series Star-Crossed. All of these do skew toward younger viewers (as do most of The CW’s shows), but with Vampire Diaries and its upcoming spin-off The Originals, as well as Arrow, Supernatural, Beauty and the Beast, and Nikita, nine of that network’s ten hours of Prime Time programming per week will be genre related. Now some of these shows may come in as mid-season replacements and Nikita will only return for a partial season, so it may not be nine hours all year long (got to work in time for reality shows). But still, it is a notable shift from the network’s previous line of programming. You can see the descriptions of the three new pickups (courtesy of The Hollywood Reporter) below. Logline: Based on the U.K. series created by Roger Price, the drama tells the story of several young people from around the world who represent the next stage in human evolution, possessing special powers, including the ability to teleport and communicate with each other telepathically. Together they work to defeat the forces of evil. Logline: Ninety-seven years after a nuclear war has destroyed civilization, a spaceship housing the lone human survivors sends 100 juvenile delinquents back to Earth to investigate the possibility of re-colonizing the planet. Based on the forthcoming The Hundred book series (initial two-book order), written by Kass Morgan and published by Little, Brown. Logline: Passion and politics threaten the peace and an epic romance ignites between a human girl (Friday Night Lights’ Aimee Teegarden) and an alien boy when he and eight others of his kind (The Orion 9) are integrated into a suburban high school ten years after they and hundreds of others landed on Earth and were immediately consigned to an internment camp where they’ve been imprisoned ever since.